Multiple audience members at the Toronto Film Festival’s Midnight Madness screening of Raw got more than they bargained early Tuesday morning, with French language cannibal horror movie causing several of this in the screening to pass out, according to The Hollywood Reporter. The incident was serious enough for paramedics to be called, the cause been cited as highly realistic bite marks and ‘lacerated extremities’. 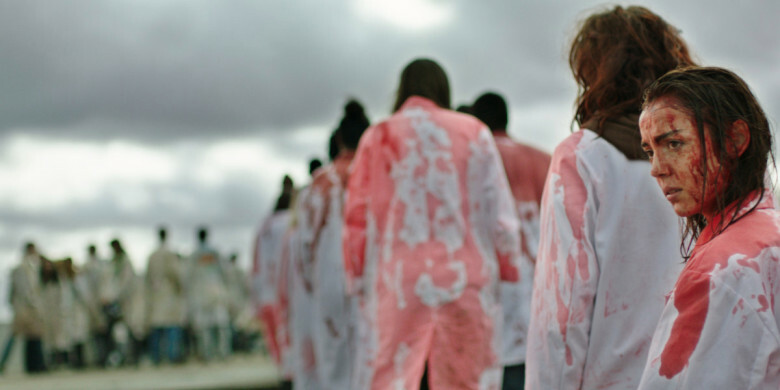 Raw, which has become a must for horror fans after it’s premiere at this year’s Cannes Film Festival (where it ran without any such incident), is the first feature from director Julia Ducournau, and follows a naive young vegetarian who, during an initiation at veterinary college, is pressured into eating raw rabbit liver. This instills in her a hunger that soon leads to cannibalism. Picking up the FIPRESCI Critic’s Prize in May at Cannes, Raw, which is a coming of age story about sisterly bonding in between all the flesh eating, is already a hot property in the movie world. It’s distribution rights have been snatched up by Focus Features, and the Midnight Madness screening mobbed by agents and manager desperate to snap up the currently unsigned Ducournau. This turn of events will only help the movie in terms of word of mouth, with Ryan Werner, the person in charge of the movie’s marketing, remarking he’s only seen this type of audience reaction before during Lars von Trier’s infamous Antichrist.